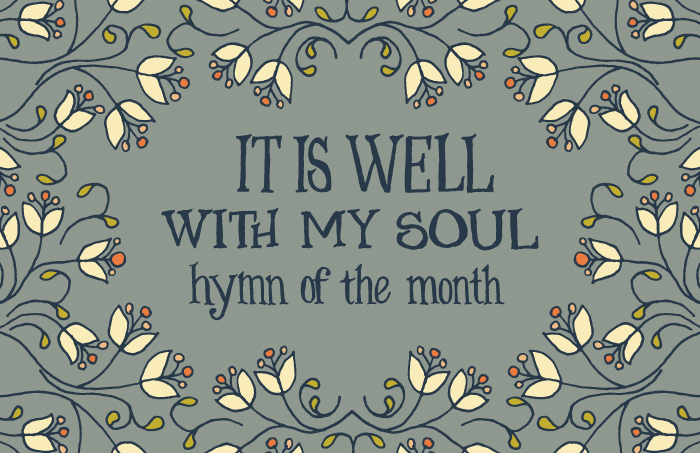 This month is the much beloved hymn “It is Well with my Soul.” And this is a very heavy story. And I’ll start by saying most of my information is coming from the Library of Congress. There was an exhibition “The American Colony in Jerusalem” in 2005 on the history of the American Colony, a Christian utopian society that formed in Jerusalem in 1881. And Horatio Spafford (the hymn writer) was a part of it, so this exhibit included the full story of this hymn. There is so much more to the story that I won’t tell so I do encourage you to read further about the exhibition. Horatio Gates Spafford was born in Troy, New York, October 20, 1928. 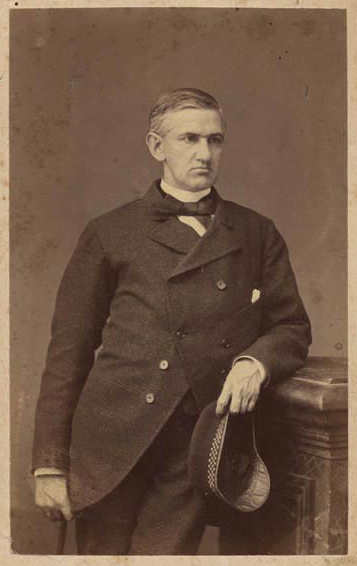 He married Anna Larsen of Stavanger, Norway, in Chicago September 5, 1861. He became a very successful (and wealthy) lawyer. He was a senior partner of his firm. They were very active in their church. They became close friends with famous preacher Dwight Moody. And they were very active in abolitionist crusade. Ten years later in 1871, their only son died of pneumonia. And the Great Fire of Chicago happened later that year, destroying Spafford’s investments. All their fortune was gone. That alone is more than enough for one family to endure over a lifetime. But it does get worse. This was his business card in Chicago. In 1873 to benefit Anne’s health, the family planned an extended trip to Europe. But at the last moment, Horatio was detained by real estate business. Anna and their four daughters Annie, Margaret Lee, Bessie and Tanetta, sailed to Paris on the steamer Ville du Havre. Within 12 minutes on November 21, 1873, the steamer sank in the middle of the Atlantic Ocean after it was rammed by the British sailing ship Lochearn. Horatio immediately left Chicago to bring Anna home. On the Atlantic crossing, the captain called to Horatio to tell him that they were passing over the spot where his four daughters had been lost at sea. The story goes that he wrote “It is well with my soul” while passing over that where he lost his daughters. He wrote to Rachel, his wife’s half-sister, “On Thursday last we passed over the spot where she went down, in mid-ocean, the waters three miles deep. But I do not think of our dear ones there. They are safe, folded, the dear lambs, and there,before very long, shall we be too. In the meantime, thanks to God, we have an opportunity to serve and praise Him for His love and mercy to us and ours. I will praise Him while I have my being. May we each one arise, leave all, and follow Him.” Below is the hymn “It is Well with my Soul” that Horatio wrote while crossing over the Atlantic. Phillip Bliss wrote the tune to the hymn and named it Ville du Havre after the ship which his daughter’s died. Horatio and Anna return heartbroken to Chicago. In 1878 their daughter Bertha was born, two years a son Horatio. An epidemic of scarlet fever broke out and their baby son died. Sadly rumors spread all around their church about what had the Spaffords done for God to punish them. (Which allow me to pause. That is simply wrong. I immediately think of Job and his suffering. Also Jesus suffered beyond human comprehension and he was blameless. God used it for His glory and his Kingdom to come. There has always been suffering with the Church and always will be. So I hate to hear that for them. I’m sure they needed their church to support and love them, not judge.) So they left their church Fullerton Presbyterian Church. Along with a group of close friends, Horatio and Anna decide to set out of Jerusalem in August 1881. They left right after their daughter Grace was born. Thirteen adults and three children make the journey to Jerusalem. They rent a house in the Old City and began philanthropic work. Their neighbors called them the “American Colony.” They envisioned living a communal life like the model of the early Christian church. Over the years the colony grew, past Horatio’s death in 1888. The history of the American Colony in Jerusalem is quite fascinating. 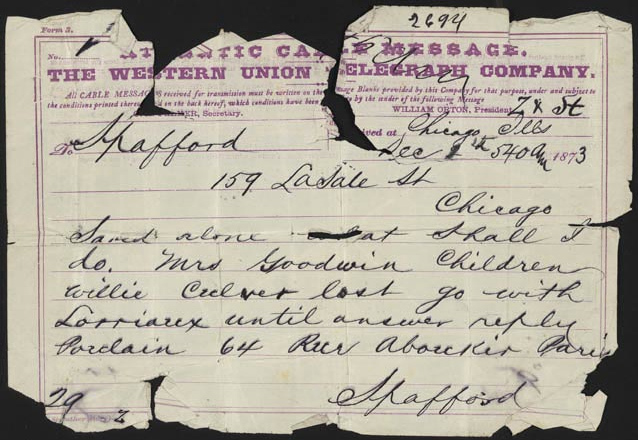 Their daughter Bertha Spafford Vester founded the Spafford Children’s Center in 1925 after she took in a baby in need. The organization is still very active today caring for all people in the area. Help is given to anyone in need, regardless of race, religion or cultural background. The Center is unusual, in an area of sectarian conflict, in having staff of different faiths working together for a common cause – the benefit of deprived and sick children. I didn’t know about the legacy of Horatio and Anna before researching the hymn. I hope you enjoyed it as much as I did. You can print off a copy of the hymn here. And you can buy a print of the hymn in my shop!